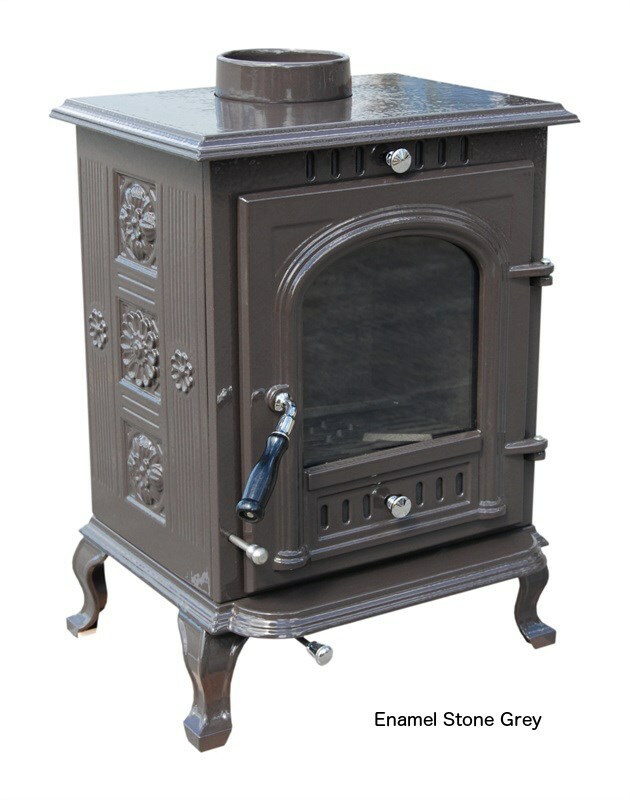 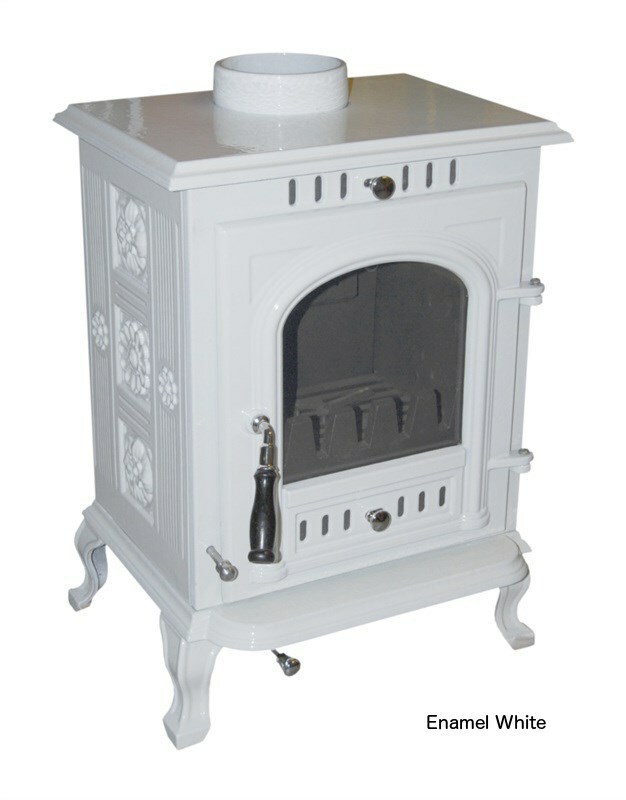 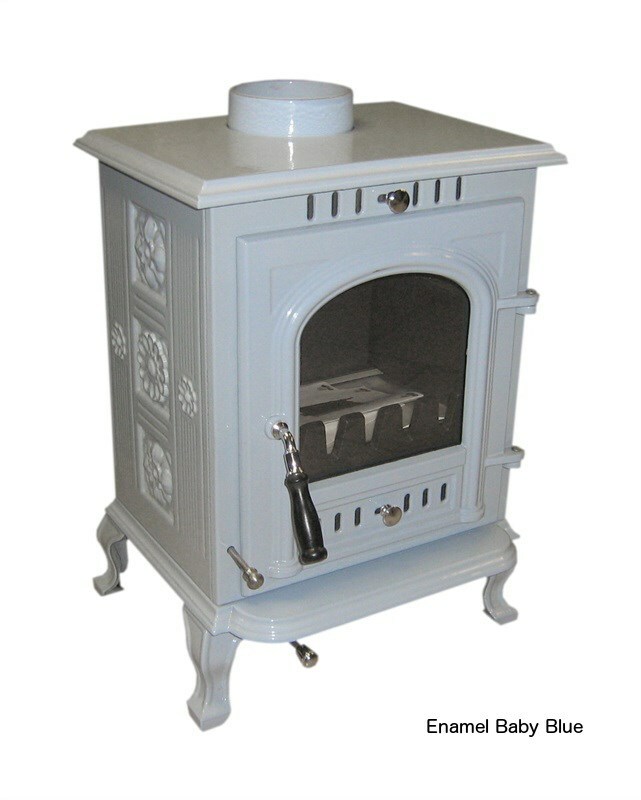 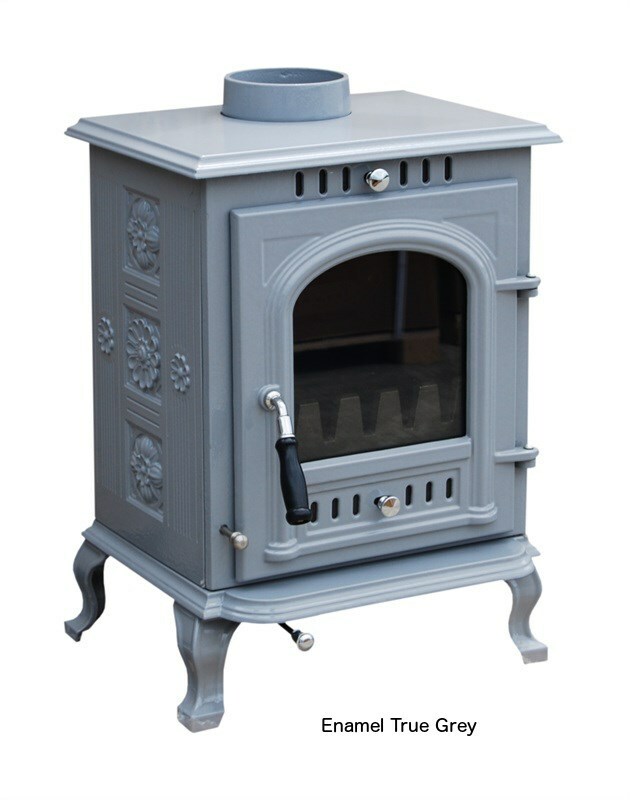 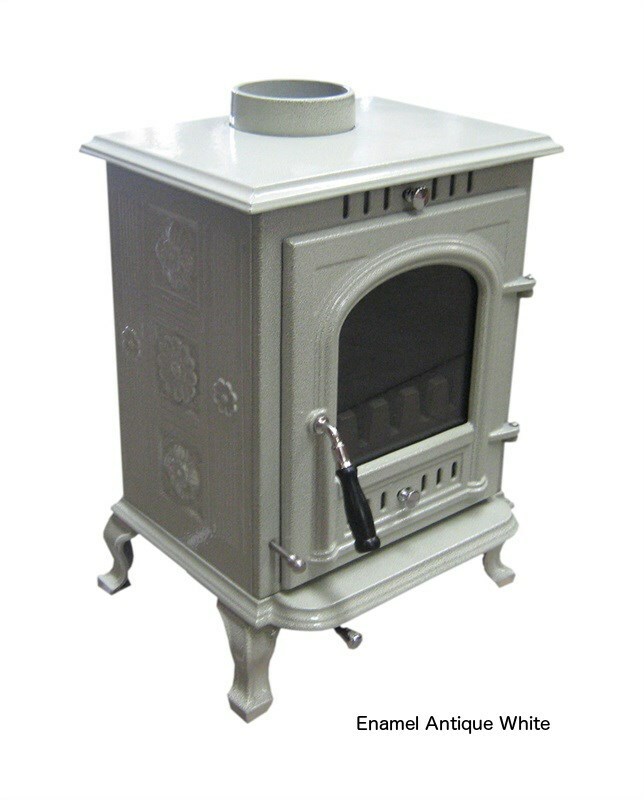 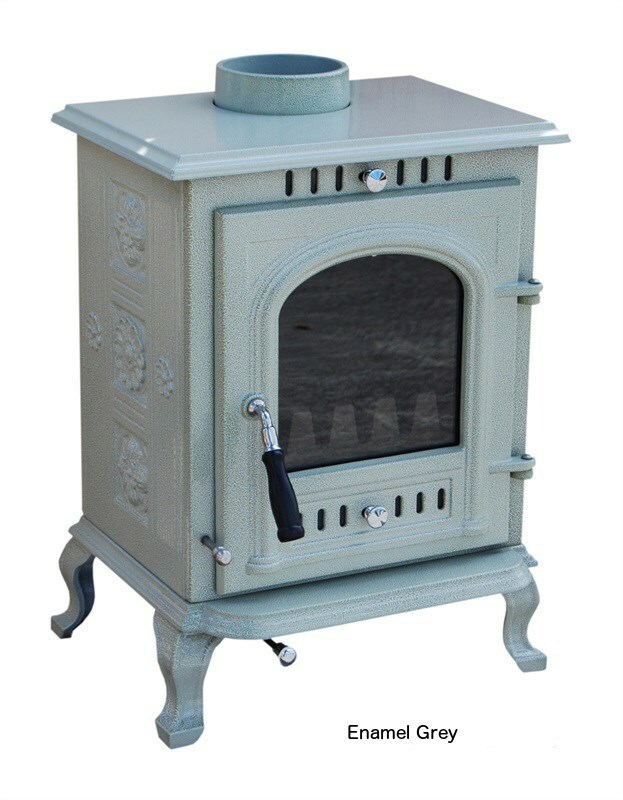 Enamelled cast iron multi fuel stove available in various colours. 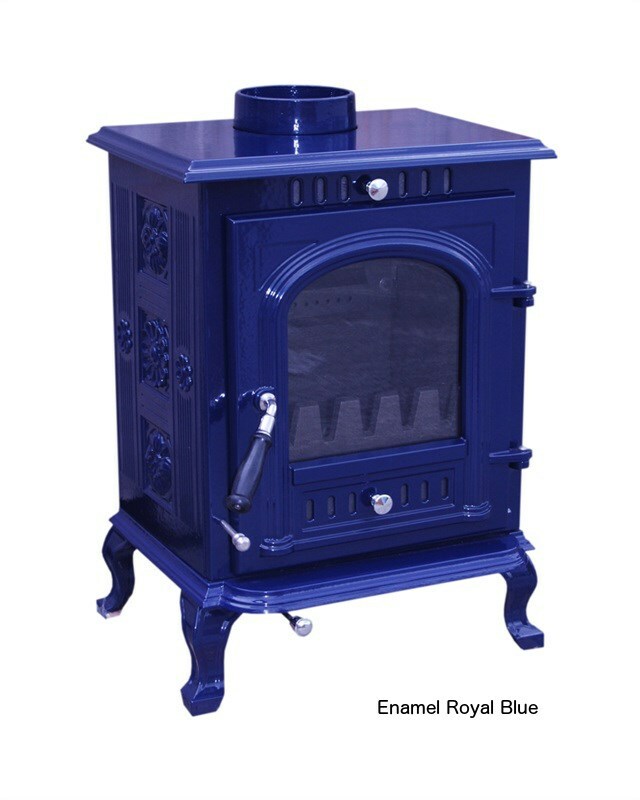 Please select from the drop down list the colour you require. 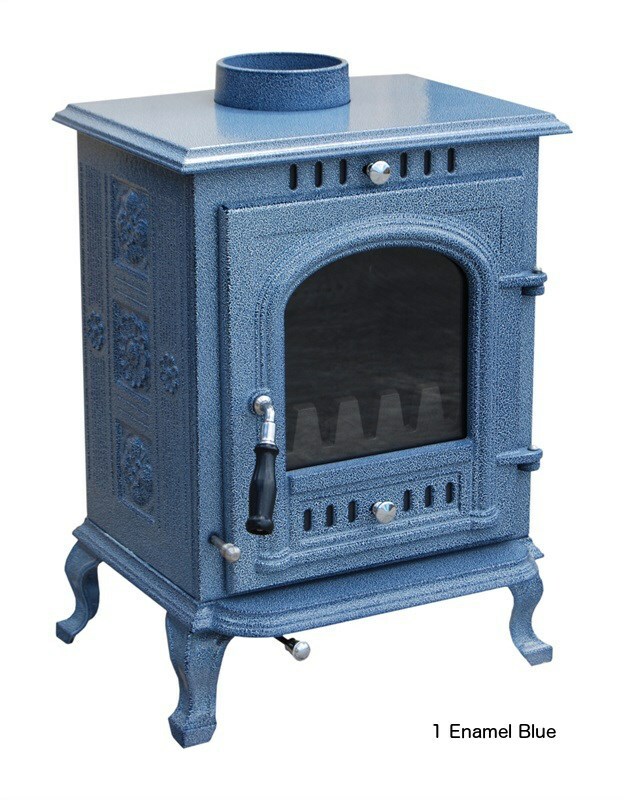 This stove is approx. 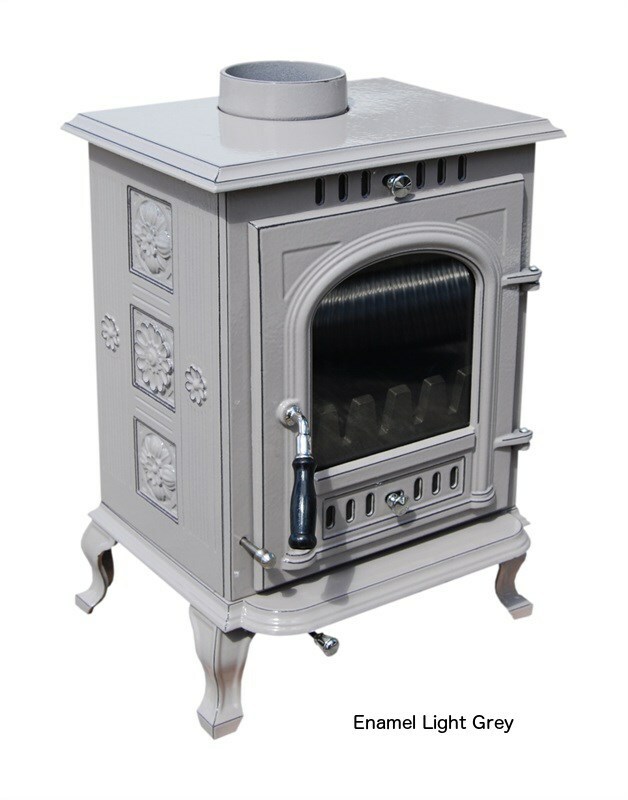 5.1KW and is CE approved. 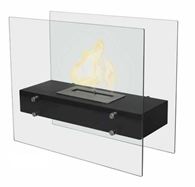 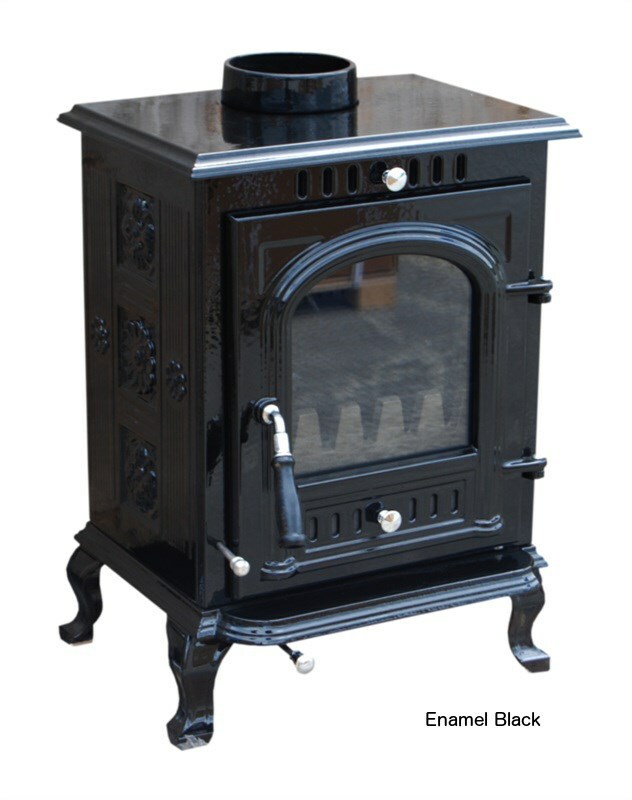 The stove does not include the flue this can be purchased separately. 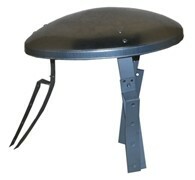 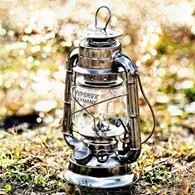 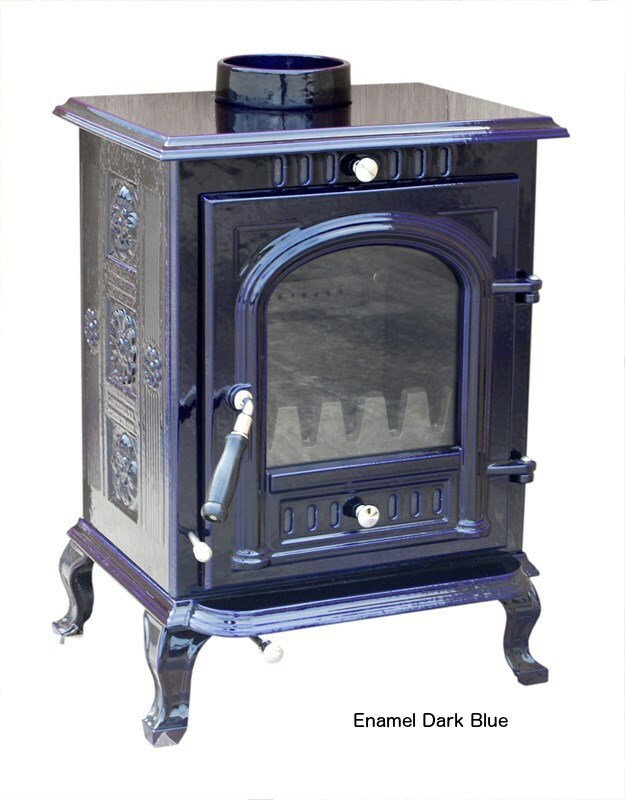 This stove is made from cast iron and requires gentle seasoning for the first few uses. 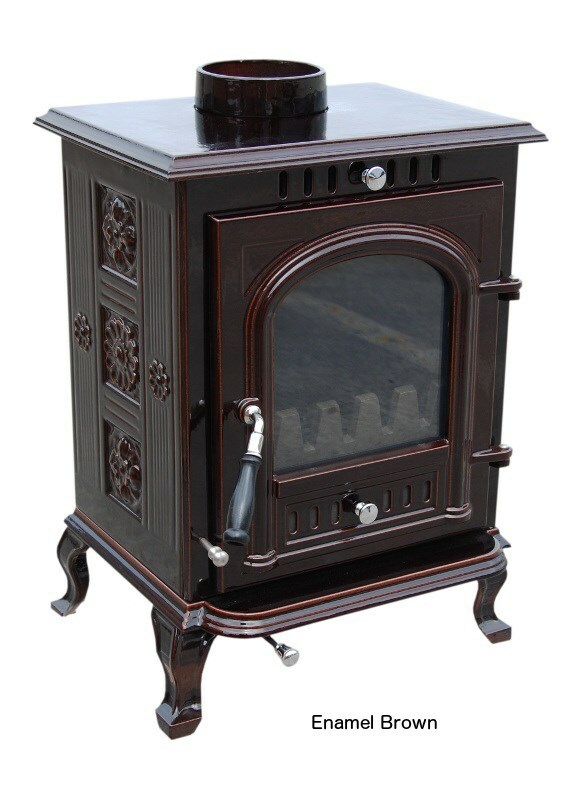 This requires a few small fires before your normal larger fire. 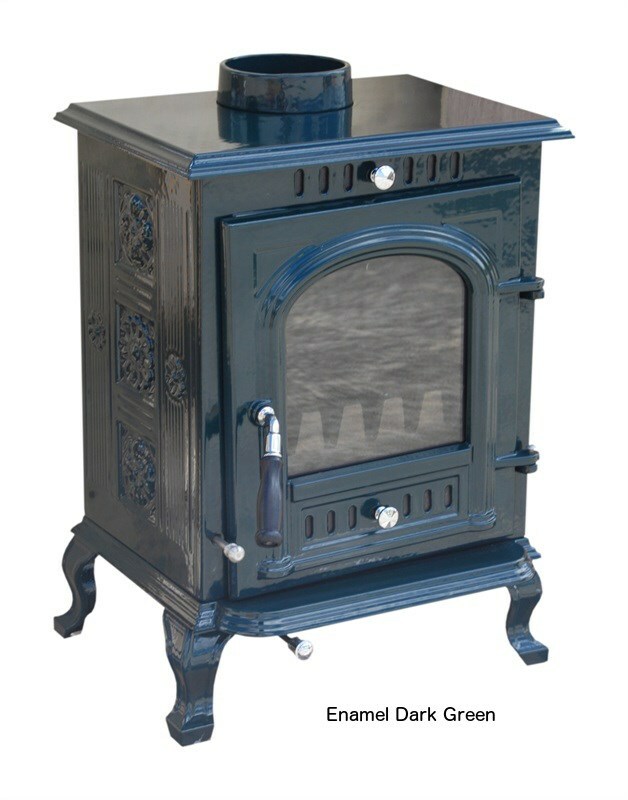 This stove is also an overnight burner when installed properly. 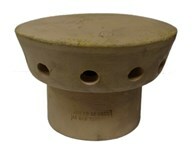 Includes ash pan. 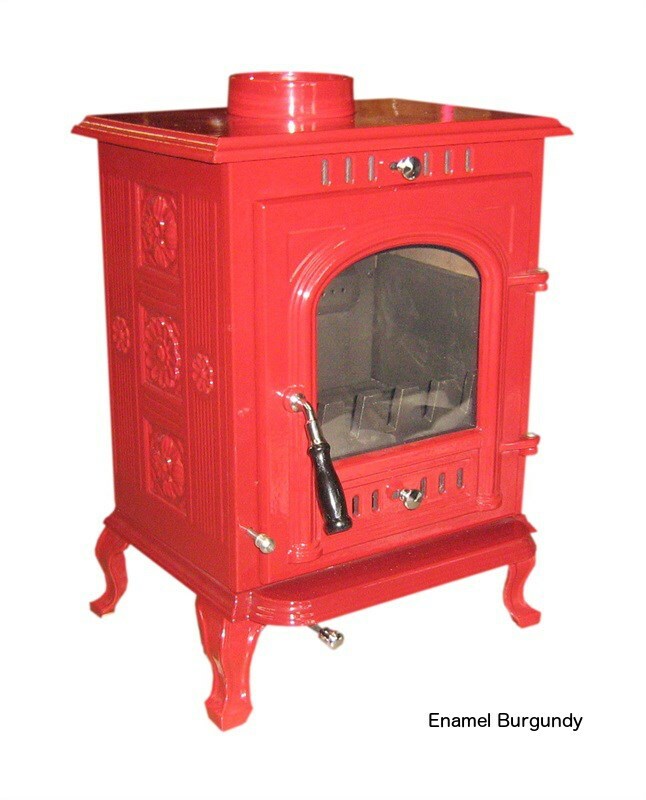 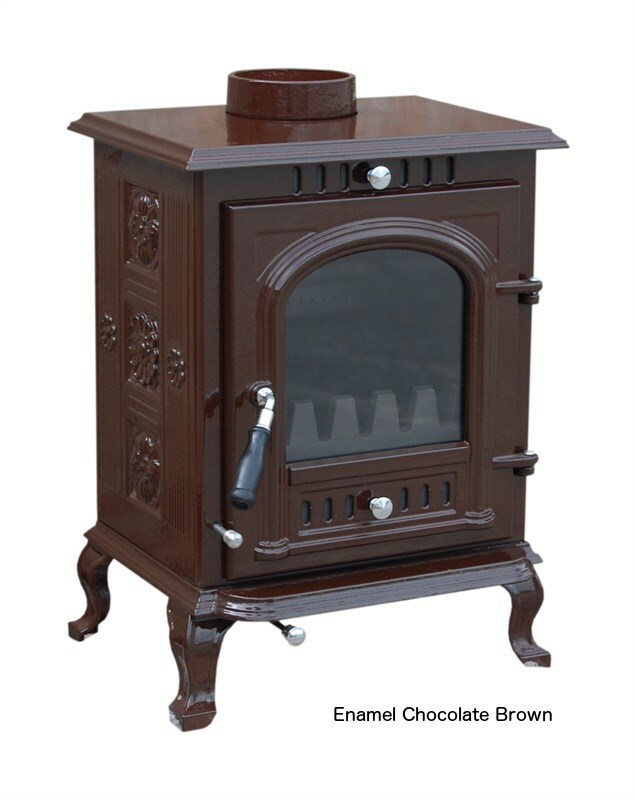 There are no reviews for Multi Fuel Cast Iron Stove Enamel 16 Colours Available .